The Perfect Baby Shower Gift – A Change Purse!!! Have you seen the Change Purse pattern? It’s not what you might think; a small pouch for coins. 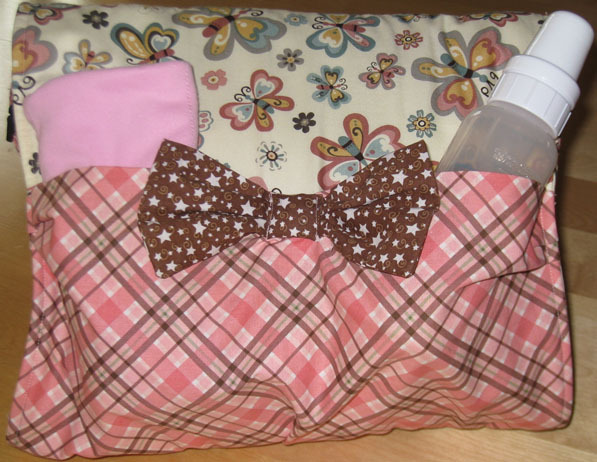 John Dyck has designed a pattern that looks like a purse but is really a changing pad for Baby! Why didn’t anyone think of this before??? We recently had a conversation with John about the Change Purse (and the Dad Pad…you can just guess that is). Here is what he had to say. From my personal experience, the quilters loved this pattern. When we first made this pattern, I was given the opportunity to have a sales table at a local quilt shop. Quilters would wander by and look at the patterns, but would stop “dead in their tracks” when they saw the Change Purse sewn and laid out on the table, one folded so that customers could see the completed “Purse” and another sample was laid out on the table, open and showing the baby wipes and other items inside. They loved it. The most common comment was that it was a perfect baby shower gift. The patterns flew out the door. The Change Purse in action! This item (and the Dad Pad ) were created by my wife for our grandchild. Her mom had complained that the baby was too long for most baby changing pads. My wife added some creature comforts. It fits the fold-down “Kangaroo” style or other baby changing tables found in public restrooms. It’s completely self-contained. Mom (or Dad) can skip the diaper bag, and pack all the items needed for an outing inside this bag’s pockets. The strap/handle options includes attaching it to stroller, shopping cart, etc. The “Change Purse” is perfect for Mothers’ Day and Baby Showers. It is best classified as a baby item, since there are “Purses” and “Totes” of every variety out there. It is a diaper changing station, folds up to hold all the supplies and it can replace a bulky diaper bag for outings. 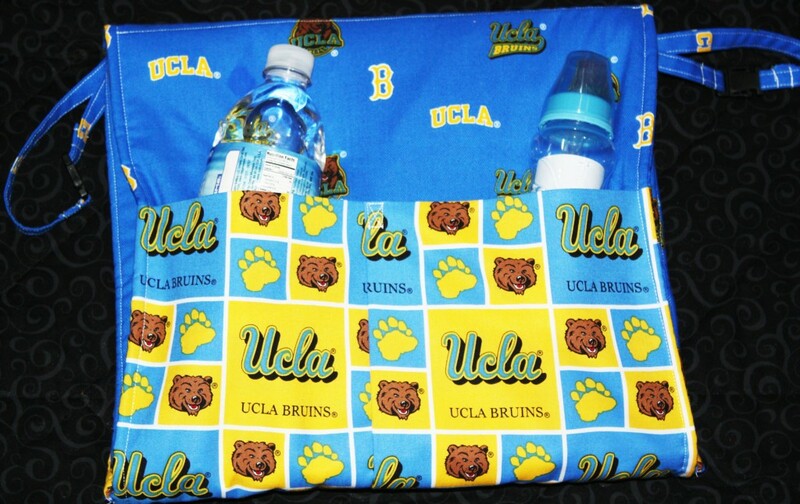 The “Dad Pad” is a great Fathers’ Day gift, or perfect for the “couples” type of baby shower. It is a men’s version of the “Change Purse” and perfect for a trip out for dads and baby. This entry was posted in patterns and tagged Baby. Bookmark the permalink. One Response to The Perfect Baby Shower Gift – A Change Purse!!! Change Purse is indeed perfect gifts! It’s a unique idea!